After a sea change in American politics and culture, what transformations will art undergo? Well, that was the week that was, wasn’t it? The post-mortem examinations of the 2016 presidential election will be going on for weeks, months, probably years. Pretty much everyone, at least in the mainstream political and media worlds, was fooled, and the rancor runs deep. Portland has been the site of nightly mass protests against the election of Donald Trump, with crowds taking to the streets and parks and freeways; break-off gangs (of anarchists unaffiliated with the protestors, if reports are accurate) have trashed property, causing more than $1 million in damage. In the meantime, the Ku Klux Klan and other white supremacist groups are exultant, and scrawled threats against Jews, blacks, Muslims, and others have spiked – even on the campus of Portland’s traditionally liberal Reed College. Something feels Third World and very, very fragile about the whole thing. 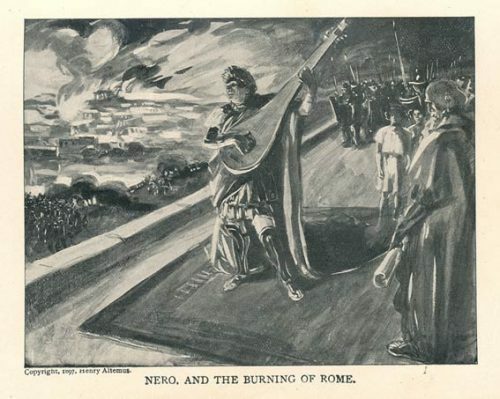 At a time like this, the world of arts and culture can seem irrelevant, or at least subsidiary, like worrying about the quality of the fiddling while Rome burns. Suddenly everything’s on the table, and amid likely fierce battles over issues as vital as environmental safeguards and climate change, race and discrimination, abortion rights, immigration and deportation, and privacy and surveillance, arts issues are likely to get shunted into the corner. The arts have been a target of the ideological right at least since the 1980s and the fund-raising heyday of the “culture wars,” and the possibility of a revival of that cynical and highly effective campaign seems very real: federal funding for the arts could be slashed, and what survives could well be funneled mainly to “safe” traditional art forms, the decorative-wallpaper approach. (Or Leni Riefenstahled, with the promotion of pet artists in support of the new regime.) The ascendancy of such ideological adversaries of freedom of expression as Rudy Giuliani doesn’t seem to bode well for outsider, activist, or challenging art and artists. But like so much about this potentially revolutionary administration-in-the-making, we just don’t know yet. Art is the expression of a culture, and with this huge cultural shift, it promises to be both fascinating and very important to see what new art emerges, with government funding or without. One good if incomplete definition of politics is that it’s the battleground for privacy. A healthy political culture – one that honestly and seriously engages in the large issues of the day, and guarantees the freedoms and opportunities of its people – makes it possible for a nation’s citizens to not spend all of their time consumed in politics, but to engage in and develop their private and communal lives, without constantly looking over their shoulders for fear of reprisal. While art can be and often is political and uncomfortable and challenging to authority (see: Daumier, Käthe Kollwitz, Orwell, Amiri Baraka, Margaret Atwood, Goya, Vaclav Havel, Brecht, Banksy, many more) it is also the expression of the private, the fruition of the culture, the amplification of personal and social freedom and thought. It’s where we get to create. It’s where (and this is vastly more important than many people think) we get to break loose and laugh. And that is something bigger than wallpaper. Bigger even than Nero’s bowing technique. The day after the election ArtsWatch’s Barry Johnson touched on many of these issues in his essay The arts and the repair of democracy. “I think we start by directly addressing the communities that were targeted in this election—African Americans, Hispanics, Asians, the differently abled, women, immigrants from Middle East, non-Christians. As unsettled as I feel this day after the election, they must be feeling much, much worse. Unless they just expect this sort of thing from the dominant culture, which would be even sadder, when you think about it. What do we say? We are with you. Let us know. We truly are all in this together. 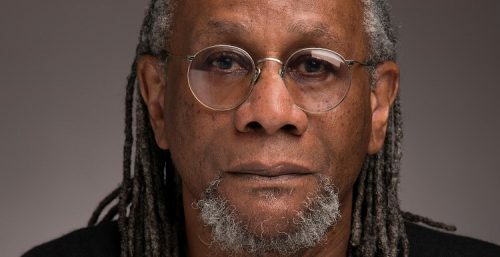 Nathaniel Mackey, the Reynolds Price Professor of Creative Writing at Duke University, spoke at Reed College last week. “Eric Garner said it 11 times, face down on the sidewalk on July 17, 2014, as a New York City policeman applied a chokehold to his neck. Then he passed out, and neither the gathered squad of policemen nor the EMTs who responded to the call attempted to revive him. The cause of his death, according to the medical examiner: ‘compression of neck (choke hold), compression of chest and prone positioning during physical restraint by police.’ Garner couldn’t breathe. – Jamuna Chiarini, who writes our DanceWatch Weekly column, is also a dancer and choreographer, and has just completed a run at BodyVox of her new work The Kitchen Sink, on a program with Samuel Hobbs’s new piece November. She wrote an insightful essay for ArtsWatch, Jamuna Chiarini on The Kitchen Sink: my process story, revealing how and why the piece came to be. – Music writer Bruce Browne is also, and perhaps better, known as a distinguished choral conductor, a passion that he continues to pursue. In Choro in Schola’s Choral FX: Modeling Musical Mastery, chief music writer Brett Campbell describes Browne’s bracing work with the choir of high school singers. – Campbell himself is a singer (as is Terry Ross, who reviews Oregon Symphony concerts) and instrumentalist who is a member of the virtuoso Javanese gamelan orchestra Venerable Showers of Beauty. He’ll be performing with the ensemble this Saturday at Hipbone Studio along with guest artists Midiyanto and Heni Savitri. If you’ve never heard gamelan, this is an excellent opportunity. If you have, you know what to look forward to. – Also on Saturday, at Holy Trinity Greek Orthodox Cathedral, pianist and ArtsWatch contributor Maria Choban will be moderating a discussion at the music and film cultural event Drómeno: From Portland to Piraeus, which in part tells the story of the ethnic purge in the Turkish city of Smyrna in 1922. In her ArtsWatch essay From Portland to Piraeus: scenes, sounds and stories from a lost cosmopolis, Choban writes about what to expect at the event. – A.L. Adams, a musician and actor who’s also worked at the animation studio Laika in addition to being a writer and editor, has a wide range of interests and follows her nose into many of the city’s more intriguing cultural corners – most recently to a performance by women stand-up comedy students at Lez Stand Up. She reports for ArtsWatch in What She Said proves comedy can be taught. Reggie Wilson/Fist and Heel Performance Group. 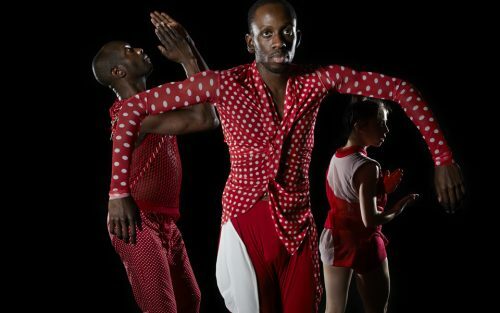 Wilson, whose choreography draws from the cultures and experiences of the African diaspora, has based his work Moses(es) partly on his re-reading of Zora Neale Hurston’s Moses, Man of the Mountain. 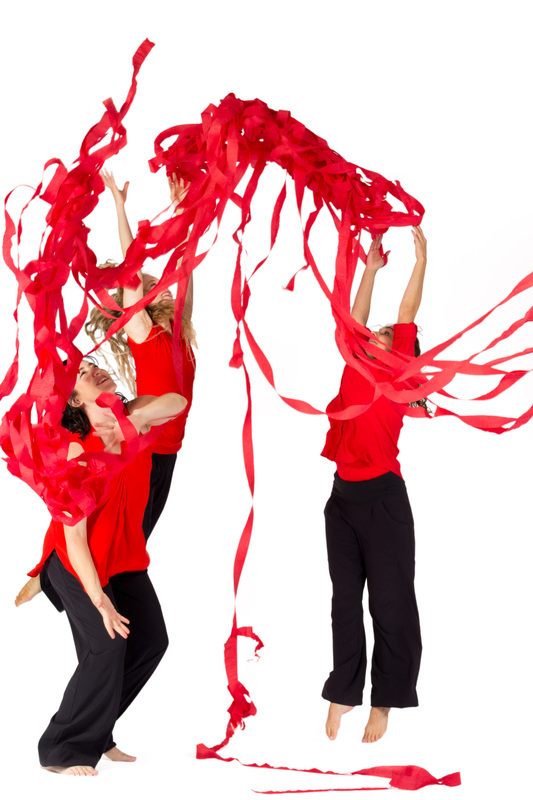 The group performs Thursday through Saturday in the White Bird Uncaged series at Lincoln Performance Hall. Handel Organ Concertos. Portland Baroque Orchestra digs deep into the masterworks with these performances Friday and Saturday at First Baptist Church downtown and Sunday at Reed College’s Kaul Auditorium. (There’s also a Saturday-matinee abridged Young People’s Concert version at First Baptist). Alexander Weimann conducts from the keyboard. Also on the program: works by C.P.E. Bach, Mozart, and Capel Bond. Tomas Svoboda’s Symphony #2: a love story in four movements. Brett Campbell tells the tale of the Czech-born Portland composer, the 22-year-old folk dancer he met when she joined his Prague folk music group, and the symphony that over the weekend received its premiere performance from the Portland Youth Philharmonic, more than a half-century after it was written. Arrival and the importance of intelligent escapism. The new Amy Adams-Jeremy Renner sci-fi flick offers both distraction from dark days and inspiration for those beyond, Marc Mohan writes in FilmWatch Weekly. Ode to the Future: nurturing young Oregon composers. Gary Ferrington previews the Eugene Symphony’s Thursday concert, which will feature a nine-minute work written collaboratively by five high school students working with the guidance of composer Robert Kyr, who is also head of the University of Oregon’s composition and music theory program. Oregon Symphony: making and missing the magic. Terry Ross reviews the symphony’s Beethoven’s Sixth, a performance he finds curiously lacking, especially compared to its meticulous and stirring renditions of two far less well-known works – a Schumann mini-symphony and Frank Martin’s Concerto for Seven Wind Instruments, Timpani, Percussion, and String Orchestra. Extradition Series: listening differently. Composer Matthew Andrews tells the stories behind two upcoming concerts by the Creative Music Guild, one this Wednesday and the second November 26. We send a letter like this once a week to a select group of email subscribers, and also post it weekly on the ArtsWatch home page. In ArtsWatch Weekly, we take a look at stories we’ve covered in the previous week, give early warning of events coming up, and sometimes head off on little arts rambles we don’t include anywhere else. You can read this report here. Or, you can get it delivered weekly to your email inbox, and get a quick look at all the stories you might have missed (we have links galore) and the events you want to add to your calendar. It’s easy to sign up. Just click here, and leave us your name and e-address. We end with a couple of requests. First, if you have friends or family members who you think would enjoy our cultural writing online, could you please forward this letter to them? The bigger our circle of friends, the more we can accomplish. Second, if you’re not already a member of ArtsWatch, may we ask you to please take a moment and sign on? What you give (and your donation is tax-deductible) makes it possible for us to continue and expand our reporting and commenting on our shared culture in Oregon. Thanks, and welcome!